Sweetened red bean paste originated in China and features in many East Asian recipes. In Japan, it’s mainly used in traditional sweets such as Taiyaki (fish shaped waffle-like cakes filled with anko), but anko interestingly also had a hand in popularising bread in the Meiji Period (1868-1912). This era saw the rapid Westernisation of Japanese people but bread didn’t quite rock their world until a samurai turned baker tinkered with the dough and filled some buns with bean paste. 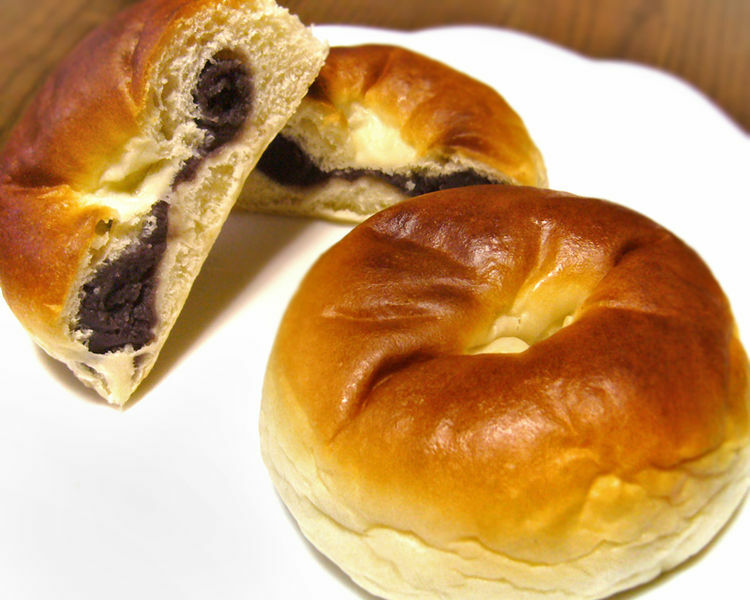 The iconic anpan was born! 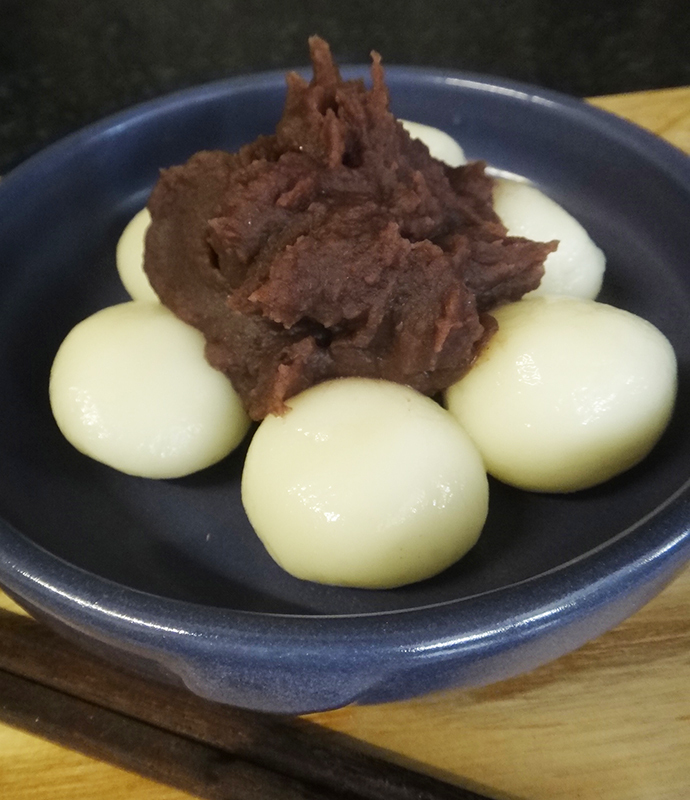 Azuki is almost always used to make anko but white bean paste (shiro-an, using lima beans) is also popular. Red bean anko comes in two forms: koshi-an (silky, smooth paste) or tsubushi-an (mashed slightly so beans are still visible). The paste can also be made with the beans kept whole, so more a jam than a paste. 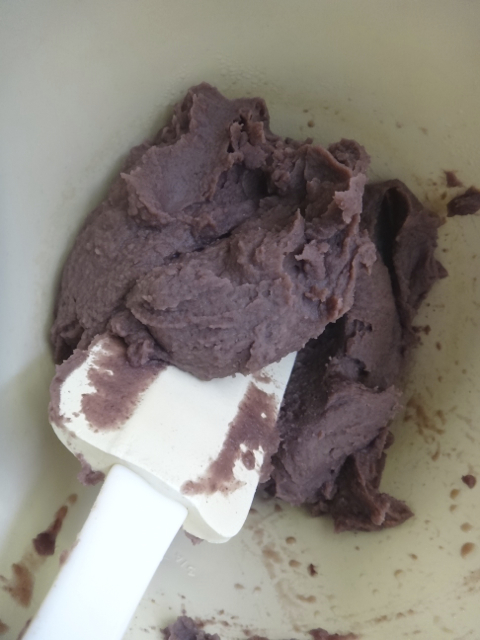 The type of anko chosen for a recipe is mostly personal preference, though some things work better with smooth paste and others with the added texture of mashed paste/jam. Curiously some Japanese people like one type but not the other. I guess it’s like smooth vs. crunchy in the peanut butter debate. Azuki Beans – Cooked three times so all bitterness removed. Quite mushy at this stage. 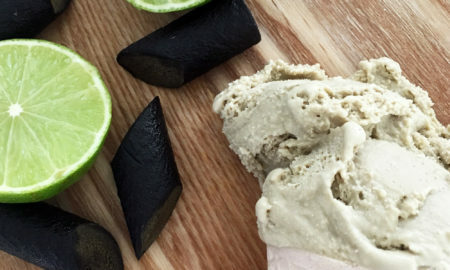 I actually had a go making the mashed paste earlier this year, which I used for my Azuki & Matcha Shaved Ice dessert. I was pretty pleased with the outcome but knew I needed to tinker with the recipe a little. Also, this time around, I wanted to use the super blitzing feature of the Thermomix and make super smooth anko. 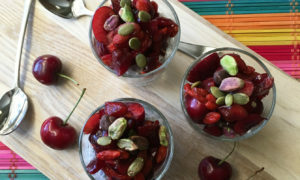 The recipe is mostly the same but you would need a sieve to make the smooth paste if you do not have a Thermomix or similarly powerful processor. 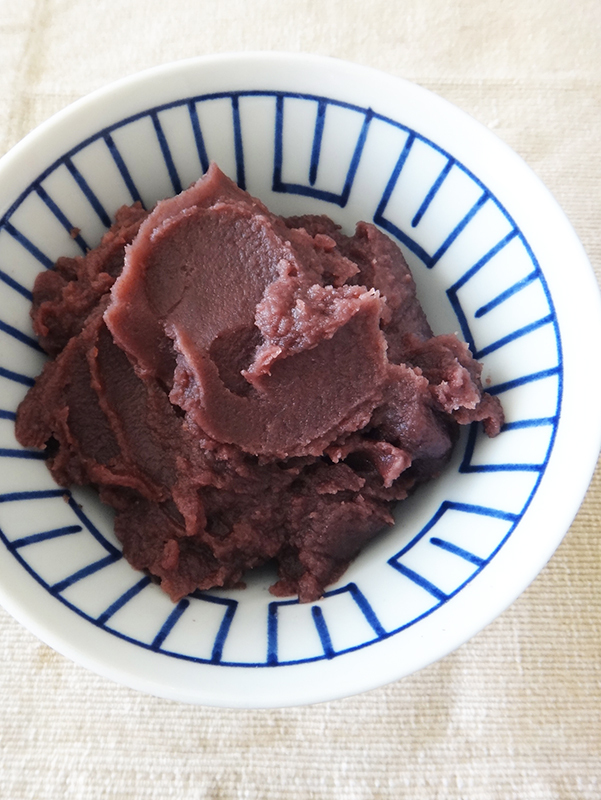 Cooked azuki purred to a paste. The colour is quite light but will darken when cooked with sugar. Another reason why I fancied making my own red bean paste is that I wanted to be able to control the amount and type of sugar used. The canned paste I usually buy is pretty sweet and I find that it detracts from the azuki’s flavour. 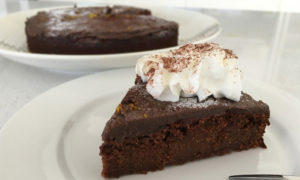 I therefore used the smallest amount recommended in my recipe book and tried a combination of agave syrup and CSR’s low GI cane sugar instead of just plain white sugar. The lower sugar content didn’t make much difference to me and my Japanese friend thought the anko tasted pretty authentic. Yes! Unfortunately, as much as I had hoped to only use the Thermomix to complete this recipe, I did have to bring out my trusty saucepan to finish off the anko on the stove. As I mentioned in my write up about Japanese Cooking and the Thermomix, reduction is hard to achieve with the TMX but it did take care of the harder steps so a big thumbs up overall. I would not have enjoyed making anko completely on the stovetop! I made up some lovely glutinous rice balls (shiratama) to have with a dollop of anko. Oishii! (Delicious!). Rinse azuki beans and remove any beans that are irregular in colour or shape. 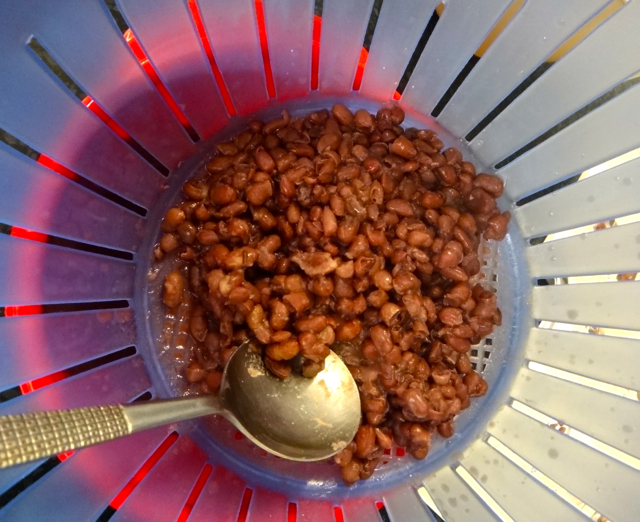 Place beans in the TMX bowl and *add 300g of water (enough to cover beans). Boil beans on 100C for 8 minutes on Reverse Soft. Drain off the water and repeat the process two more times from *. This process removes the bitterness of the beans. Cover beans with water once again and cook on 100C for 30 minutes on Reverse Soft, adding more water if needed after 20 minutes. Test beans by placing some on a small plate and squashing with a fork or spoon. If the beans yield easily, they are done. If not, cook for another 10 minutes on the same setting. Once fully cooked, prepare a large bowl and place sieve over it. Drain beans into the sieve, ensuring that the cooking liquid is caught by the bowl. Put drained beans back into the TMX and set aside. Add cold water to the bowl with the cooking liquid in it and stir. Allow to settle for about 5 minutes. The azuki sediments will have sunk to the bottom so carefully drain off the water on top. If you have a fine sieve, drain into sieve. Add azuki sediments to the bean in the TMX bowl and blitz on Speed 8 for 20 seconds. This should produce a smooth paste. Transfer pureed beans to another bowl and clean out TMX bowl. Place sugar and water into TMX bowl and cook for 5 minutes on 100C and Speed 2. Sugar should be dissolved and bubbling. Add bean puree to TMX and cook for 5 minutes on 100C and Speed 1. Bean paste can be used at this stage but preferably, place puree into saucepan and cook on high heat to remove as much moisture as possible. Allow to cool. Store in fridge for up to two weeks or freeze portions for a few months.